Placing itself perfectly alongside acclaimed work by Philipp Meyer, Jane Smiley and J M Coetzee, this debut novel charts the story of Roscoe T Martin in rural Alabama in the 1920s. Roscoe has set his sights on a new type of power spreading at the start of the 20th century: electricity. It becomes his training, his life’s work. But when his wife Marie inherits her father’s failing farm, Roscoe has to give it up, with great cost to his pride and sense of self, his marriage and his family. Realising that he might lose them all, he uses his skills as an electrician to siphon energy from the state, ushering in a period of bounty and happiness on a farm recently falling to ruin. Even the love of Marie and their son seems back within Roscoe’s grasp. Then everything changes. A young man is electrocuted on their land. Roscoe is arrested for manslaughter and – no longer an electrician or even a farmer – he must now carve out a place in a violent new world. 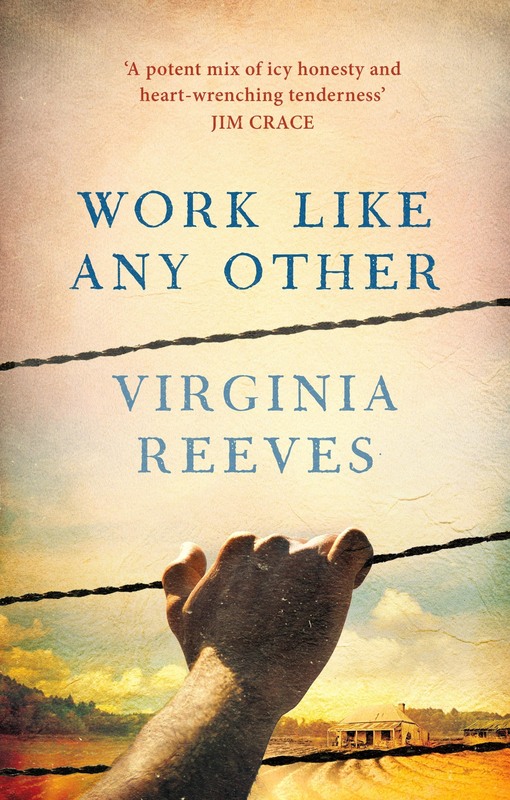 Virginia Reeves is a graduate of the Michener Center for Writers at the University of Texas at Austin. Her fiction has appeared in The Common and The Baltimore Review and has been short-listed for the Tennessee Williams Fiction Contest and the Alexander Patterson Cappon Fiction Award. She has spent the majority of her life in Montana, but currently lives in Austin, Texas, with her husband and two daughters. 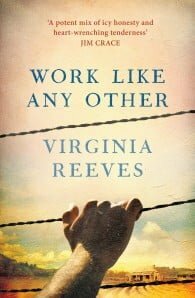 Work Like Any Other is her first novel.